A new report underlines the link between forests and food security. The study released by the International Union of Forest Research Organizations (IUFRO), the world's largest network of forest scientists, says that forests can improve nutrition level and meet the “Zero Hunger Challenge” by 2025. The study—Forests, Trees and Landscapes for Food Security and Nutrition. A Global Assessment Report—says that tree foods are often rich in vitamins, proteins and other vital nutrients and can help in providing a diverse diet when about one in nine people continue to suffer from hunger worldwide. Other important food resources from forests include wild meat, fish and edible insects which are a cheap and abundant source of protein, fat, vitamins and minerals. Forests provide firewood and charcoal which is used by people in many developing countries for heating and cooking. They also support bees and other pollinators which are essential for crop production. The report says that forests and tree-based systems can play a crucial role in complementing agricultural production. 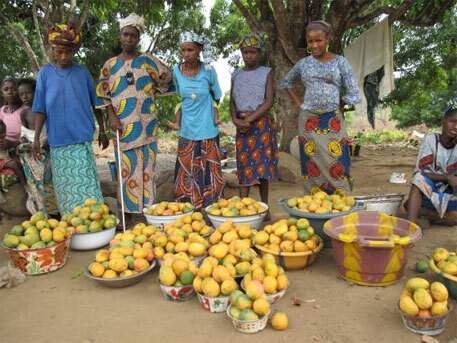 The loss and degradation of forests hit food security directly by affecting the availability of fruits and other forest and tree-based products. It also indirectly modifies ecological factors that are important for crop and livestock production. “Large-scale crop production is highly vulnerable to extreme weather events, which may occur more frequently under climate change. Science shows that tree-based farming can adapt far better to such calamities,” adds Wildburger. One billion people worldwide are dependent on forests for their food and income. Most of these are marginalised groups and women. Thus, forests are not only crucial for sustaining livelihoods, but also for bridging inequality. There is a need to continue the trend of transferring lands and management rights to indigenous people, who traditionally held forest rights over the ages experts say. Currently, around 80 per cent of forest lands are under the state ownership globally. “What keeps people hungry is often not the lack of food, but the lack of access to that food and control over its production. We need to recognise claims over food sovereignty which give local people greater control over their food,” says Bhaskar Vira of the University of Cambridge. He also chairs the Global Forest Expert Panel on Forests and Food Security, which compiled the report. The report also advocates the need to promote the cultivation of forest-based products to ensure that local communities have access to forest products. It promotes an integrated landscape approach through coordinated efforts between forestry and agriculture to build sustainable agricultural systems. Traditional knowledge of indigenous communities needs to be recognised and combined with scientific knowledge to build sustainable systems, experts say.